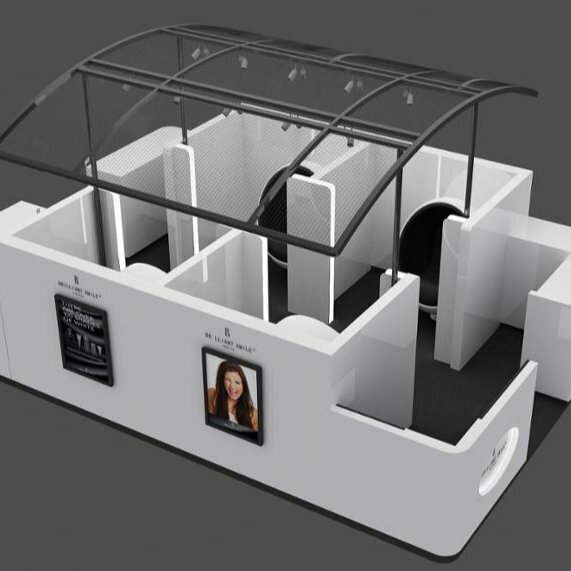 Are you looking for a teeth whitening kiosk? 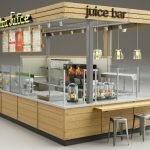 Well, here you are in the right place, Unique Kiosk is a professional mall kiosk manufacturer, We have custom design and build many teeth white kiosk concept. 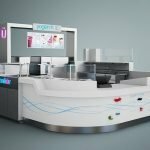 Check here below 4 seat concept teeth white kiosk design with a roof for mall. 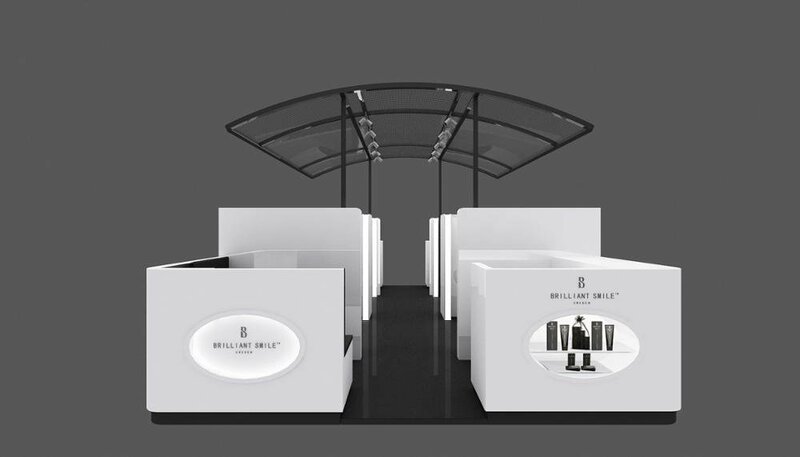 The character of our mall salon kiosk. Professional 3D and 2d blueprint. All material is size are specified. Delicate and elegant design with a beautiful outlook and fast delivery time. High-grade plywood and stone metal material to ensure a long last quality. Stable structure with knock packing for easy shipping and reinstall. 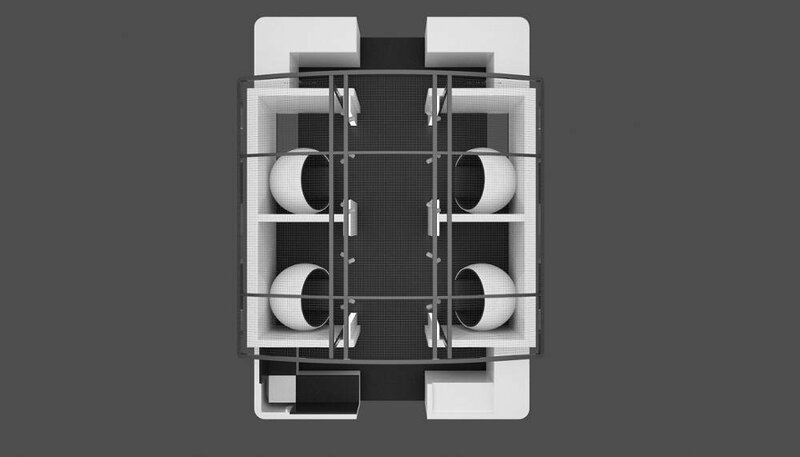 Large storage space for staff usage. We use high quality and strong Surface finish treatment to achieve a glossy effect. OEM&ODM available. If you have a design already, just sent us and get a fast quote. 7*24 hours online service, you can contact freely for technology support. Totally Black and white style for tooth whitening. The size of this kiosk is 5*3.5 meter. The price of this teeth whitening kiosk is $9880. 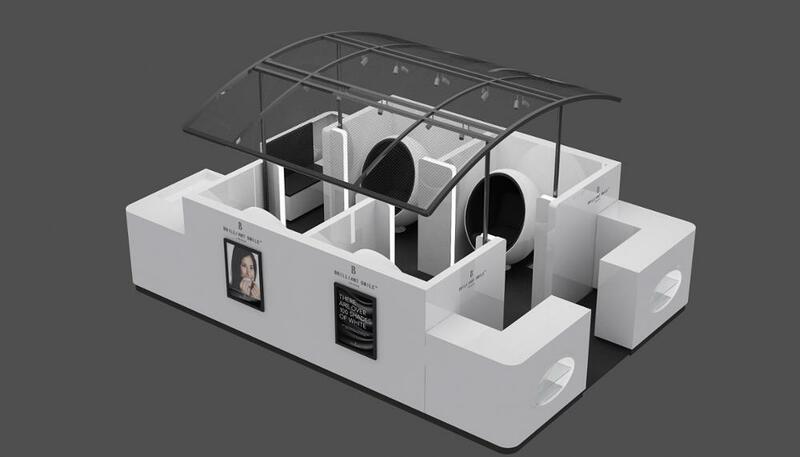 Top view of this tooth white kiosk. As you can see from the bird’s view. Four receptions counter on each corner. While four work stations are in the middle. One more side view of the kiosk. The roof is built with a metal tube frame bent over. ALl the spotlights are handing on it. Are you ready to build your own teeth whitening kiosk now? Do not hesitate to contact us. Our factory location in Shenzhen, which is the most advanced city in China. However, here we have lower cost material and labors, Due to this reason, We can offer our clients a much better price than you got anywhere on the planet. Contact us now and get your business on track.